Delightful for the little girl who wants to be just like mommy! 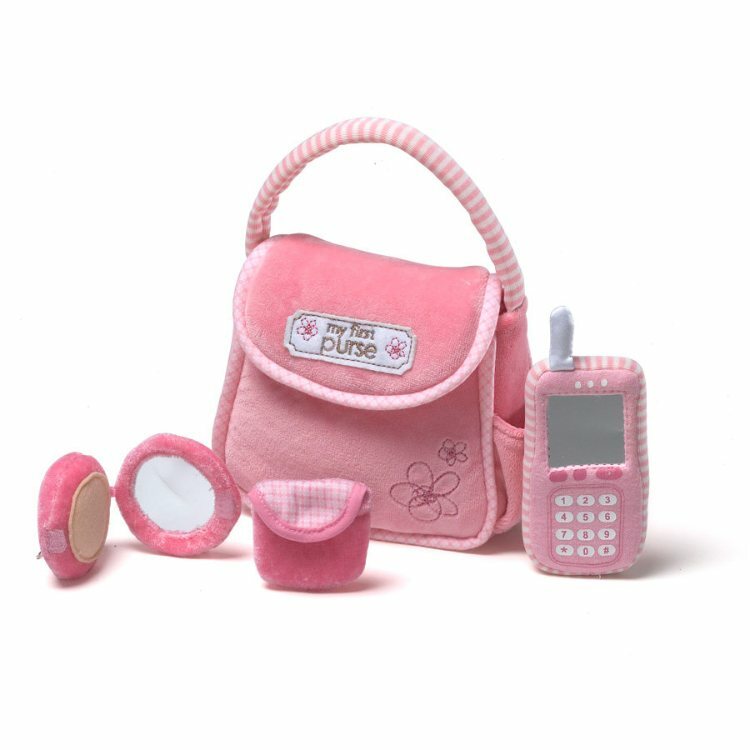 This adorable playset includes cell phone that rings, compact mirror, and change purse which all fit inside of the purse. Items are soft and made for small hands. Your little girl can bring everything she needs while on the go with this purse. For ages six to thirty-six months plus.